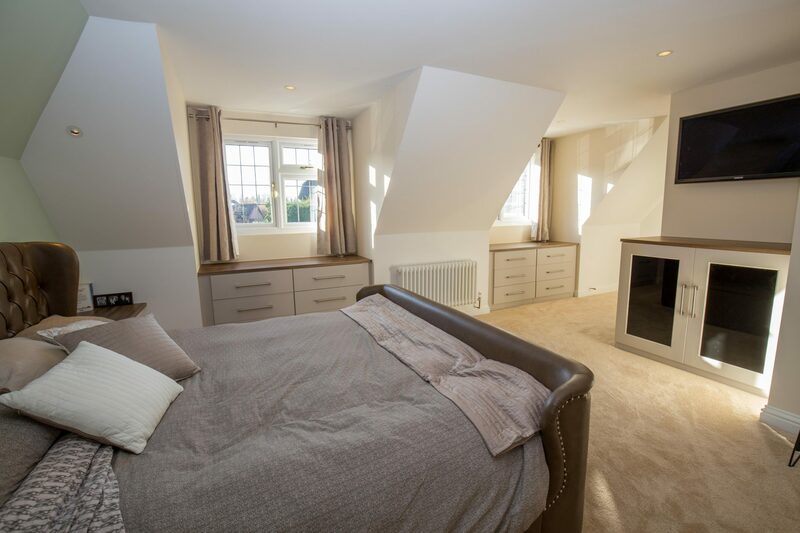 The project requested by the client was to construct a new loft conversion over an existing ground floor extention to form a master bedroom and ensuite adjacent to the existing first floor. The loft was to feature two front facing pitched roof dormers and a rear box dormer and a cat slide / shallow mono pitched roof. This project evolved around the needs of the client, the headline reason being that quite literally he was 6’7” tall and didn’t want to dwell in a tight space, therefore the whole design, created with this key factor in mind was built around him and achieving a sense of space that worked. 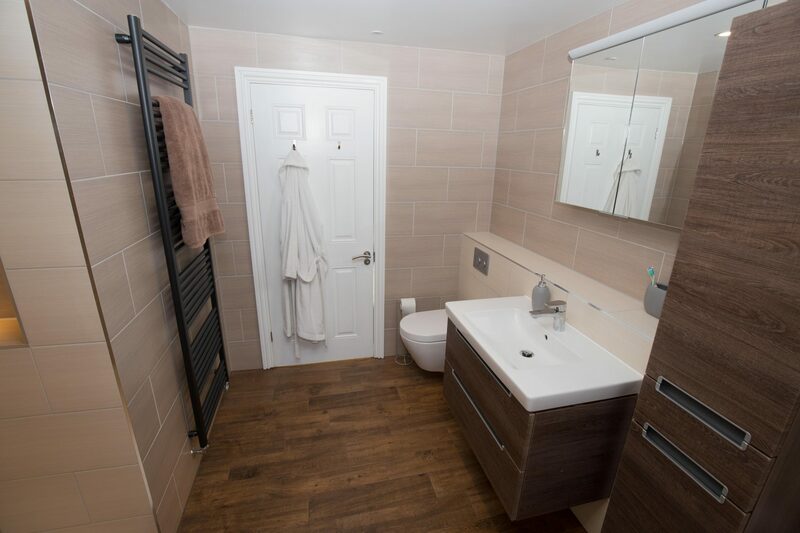 We lost soil pipes and all of the plumbing was hidden within the walls to ensure the space was seamless, flush, flat and linear. 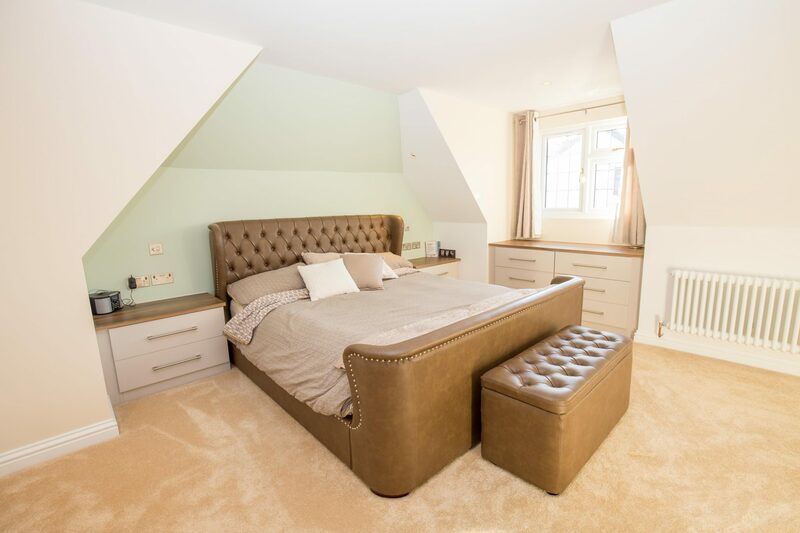 Although the main criteria was to design a large master bedroom / ensuite. 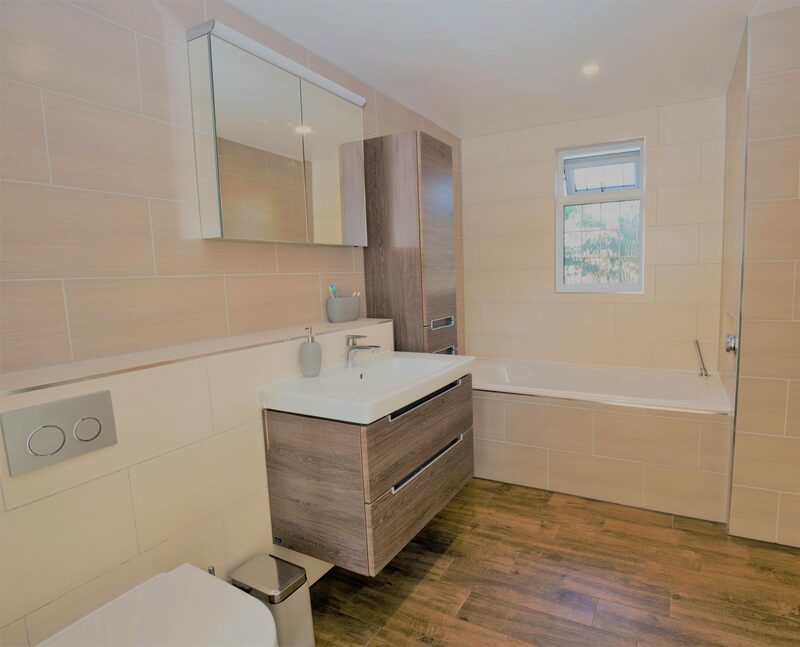 The ensuite was also required to incorporate an independent bath alongside a walk in shower cubicle, toilet and basin and various storage units (sourced from Germany) and hidden cubby holes which is rare in a loft conversion project. Aside from the need to achieve the maximum height to the loft conversion for our client the most technical obstacle of the project was the steel frame work and joisting so it was possible to construct the new floor to marry up to meet the level of the existing house. The existing property had a large joist span and the customer didn’t want a beam down stand within the ground floor ceiling so we had to construct a fully independent floor to span the whole of the open space which was approximately 6m in length. We also custom designed and manufactured a steel ridge beam with cranked end and support posts to the first floor level which all had to be hidden in the wall and roof space. This was required to keep the flat ceilings running through the new space and involved making patterns on site and sending these off to be manufactured to ensure precision on the link up of the space. The integration of the dormers and to construct them in keeping with the design elements of the existing house were challenging but the new construction blends beautifully into the property and surrounding area. 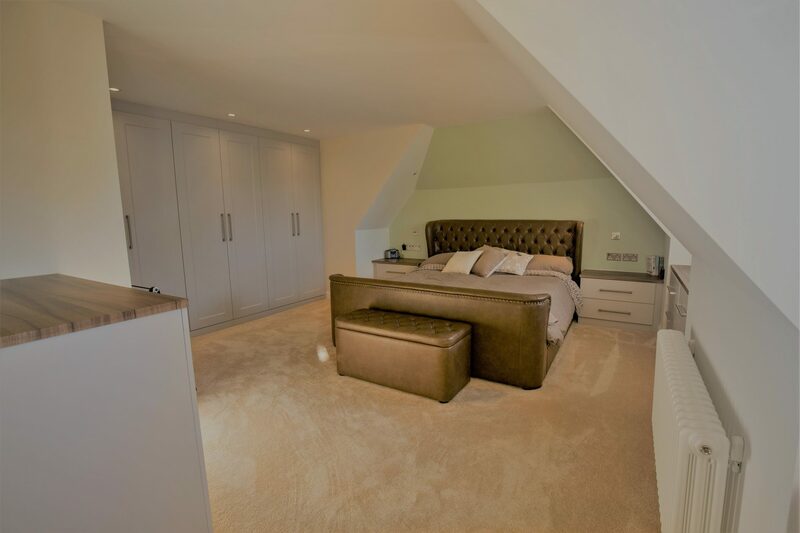 We also custom made the storage and wardrobes on site to ensure that every available space was used to its fullest whilst still maintaining a bright and welcoming space. 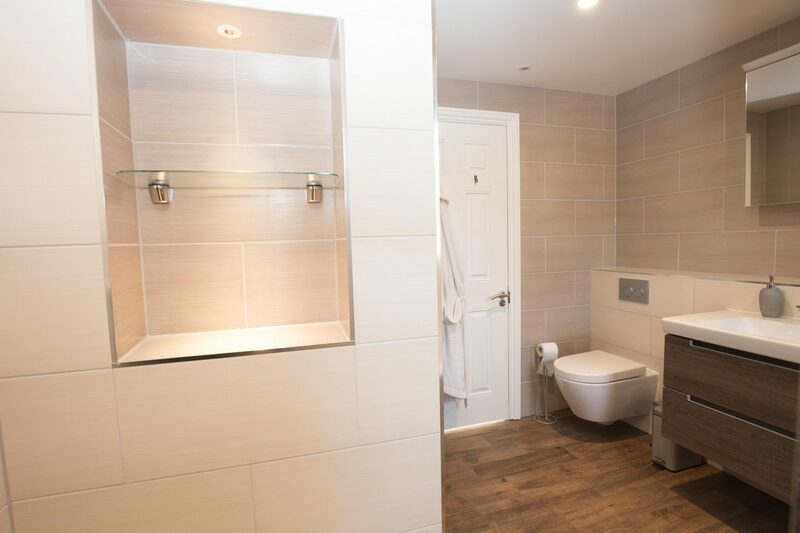 Finally, with the construction of the cat slide / mono pitch dormer we were the ensuite was maximised and we were able to design the space to include a bath and separate walk in shower cubicle which is rare and quite unique as part of a loft conversion project. The environment is 100% at the forefront of the work we do and this project was no exception. We ream interested in eco friendly builds, waste impact, renewable and sustainable materials. For this project we source our timber products from Travis Perkins who are also committed to preservation and the environment. The client also wanted to review their energy footprint, efficiency rating and costs related to consumable products. With this is mind we suggested and installed additional Celotex insulation above the minimum requirements and also to meet Part E requirements in regards to sound transference. 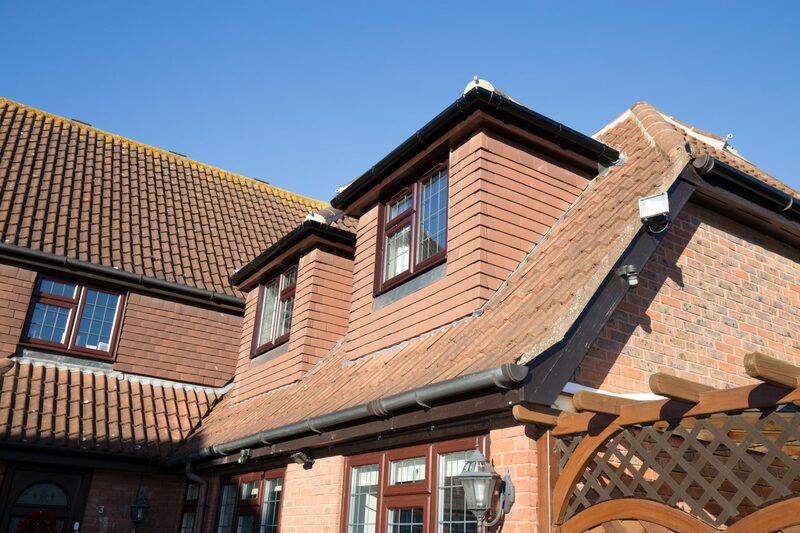 We also procured salvaged tiles from reclamation yards to hang on the dormer cheeks in order to make use of existing products and ensure the development matched as best as possible the existing property and those surrounding it. 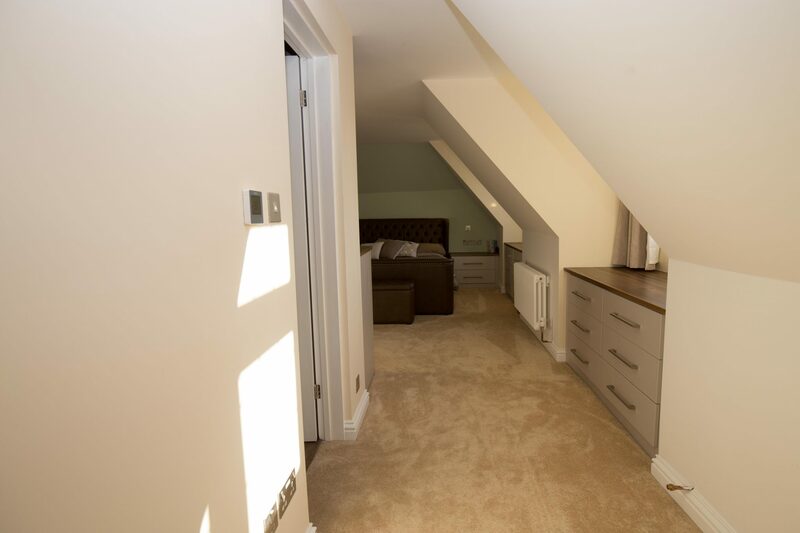 With over 30 years of experience in loft conversion it can be easy to let one project roll into another but Brentwood Lofts always strive to make each project bespoke and push for new methods, materials and practices. This build really stood out from us from the get go, every element of it required thought and planning, it was an organic process. The clients brief was clear, but we worked together to deliver something more than a brief, but a space of their own sprung from the experience of our director and small elements of corporate and modern design which we had always aspired to achieved in domestic properties. In keeping with the aesthetic of the existing property and creating a seamless link between the old and new structural elements we faced challenges as we have previously outlined. The problem solving and team ethic to deliver a workable solution on this project astounded our director and the team themselves. We have since incorporated these design solutions in more recent projects and this build has become a footprint for what we can achieve and base mark for what a good small building project should look like. 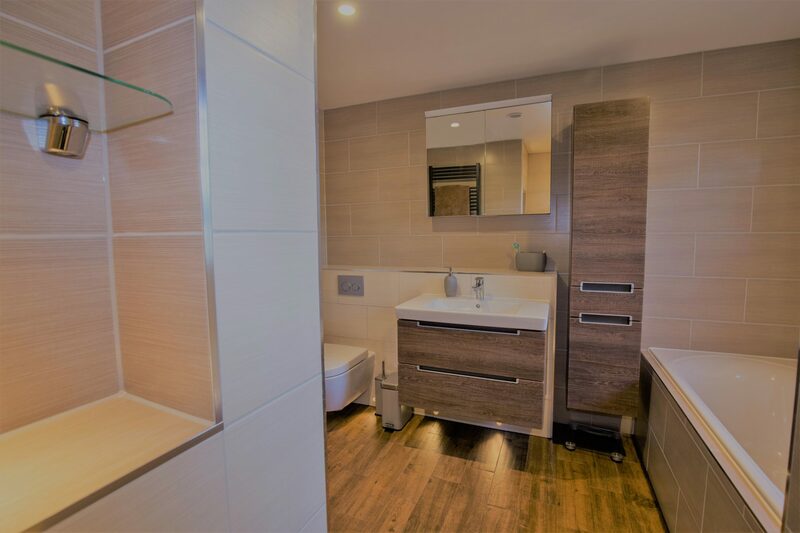 One of the main elements that stand out for us are the ensuite and the requirement to incorporate an independent bath alongside a walk in shower cubicle, toilet and basin and various storage units (sourced from Germany) and hidden cubby holes. 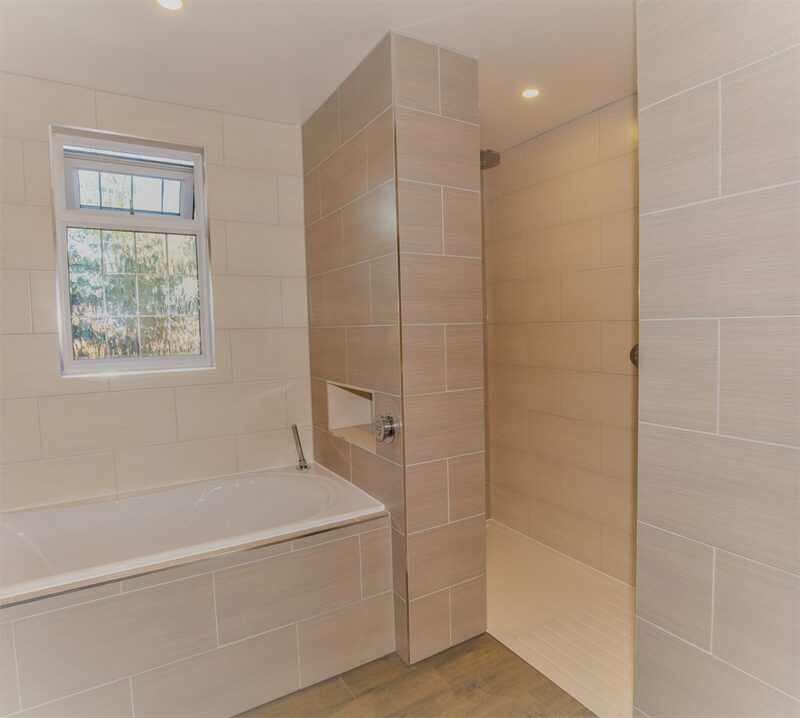 The bath was framed and built with floor to ceiling tiling surround and the whole build benefited from the installation of underfloor heating. We constructed walls to double thickness to incorporate lighting within the recesses. 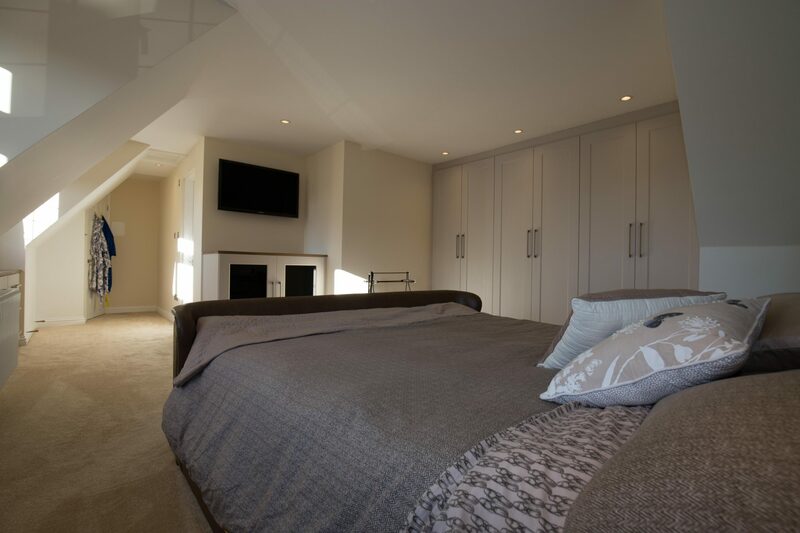 The client specified LED sensor floor lighting to minimise light disturbance at night to the master bedroom when the bathroom was in use and the effects of this and all the hidden details provide a clean, bright and roomy space which remain warm and inviting. Similarly, with the client in mind (requirements and height! ), we provided bespoke carpentry solutions to maximise space and continue the theme of clean lines and the use of equivalent materials and finishes throughout so there seemed to be a continuous flow of light and space.